Get ready to become the deadliest hunter on the planet. Today Electronic Arts Inc. (NASDAQ: EA) and award-winning developer Crytek GmbH announced that Crysis 3, the only game that arms players with the superpowers of the series’ signature Nanosuit, is available now at retail stores and Origin.com. Powered by Crytek’s proprietary CryENGINE®, Crysis 3 is celebrated by critics for its unparalleled visuals, dynamic tactical gameplay and its deep multiplayer suite. Crysis 3 launches with strong reviews from the world’s top game critics, among them: 92% from GameStar Germany, 9 out of 10 from GameTrailers, 90% from CD Action in Poland, 85% from Games Master in the UK and a 9 out of 10 from Multiplayer.it in Italy. Additionally, the New York Daily News has stated that Crysis 3 is ”the most beautifully and technically marvelous video game to date”, giving the game a perfect 5 star review. Check out this bit about the game’s story and setting. 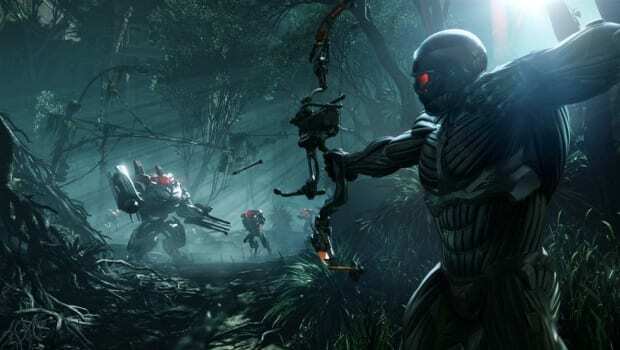 Developed by Crytek and powered by the proprietary cutting edge CryENGINE technology, Crysis 3 is the next installment in the award-winning Crysis franchise. The series is known for its spectacular visuals, dynamic, open gameplay and its signature Nanosuit that grants players unique powers to assess, adapt and attack in any situation. In Crysis 3, players return to the fight as Prophet on his quest to save mankind. Set in New York, the city has been encased in a Nanodome that has turned this once thriving metropolis into a veritable urban rainforest teeming with overgrown trees, dense swamplands and raging rivers. Seven distinct and treacherous environments become known as the 7 Wonders. This dangerous new world demands advanced weapons and strategies, including the enhanced Nanosuit which provides players a tactical advantage. In addition to the powerful Nanosuit, players wield the devastating Predator bow and cutting-edge alien weaponry to become the deadliest hunter on the planet. I’ve elected to review this title on the PC, so expect our review of the game in a few days. You can pick it up for yourself on Origin for the PC, boxed copies for the PC, Xbox 360, and PS3. Hit the press release below for all the release details goodness.